Here's another strip that probably doesn't accurately capture the experience of missionaries today. I mean, now days missionaries probably just email any pictures they take to their family. Boy, I'm so old. Now onto a hale of bullets that have nothing to do with today's strip. Now That I Am Baptized is now available to purchase online or in LDS bookstores. So now you don't have any excuse to delay your children's baptisms. 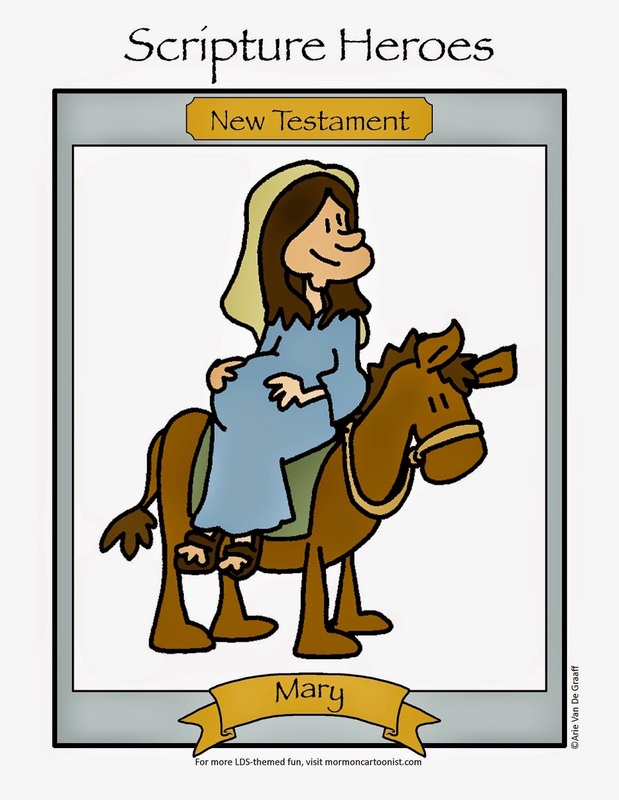 We were on the Friend's website yesterday where we go to give our kids Sunday appropriate computer activities and stumbled upon a missionary game based on a piece I drew for that publications several years ago. Now you can see what my stuff would look like animated, check it out here. And finally, the folks at Sugar Doodle have put together an awesome General Conference packet for primary children with some of my art. It is probably the best General Conference packet I've ever seen (and that has very little to do with my contribution), you'll want to print it out for any children (and easily distracted adults) in your home for April's upcoming General Conference. You're the most famous Mormon Cartoonist I know. :) Congratulations on having your work out there in so many places! I will have to make sure my nieces get to play the missionary maze game. This is great! I showed this (the announcement of your new book) to a Jewish friend of mine and he liked it so much that he asked me to talk you into doing a cartoon and game book he can give his son "Now that my Bar Mitzvah is here." I told him he's out of luck until the author starts branching out a little more. I'm so proud of you big brother!! No need to be proud of me. Arie's doing all the work. I saw the general conference packet in SugarDoodle and I was asking myself "where did Melanie got this art? I loved it". Thanks for that!! I'm anxious to help her with the translation to Portuguese so I can use with my kids here in Brazil. Any chance you do something in Portuguese? Thanks, Dani, unfortunately, about the only language I speak anymore is English. My puzzle books, though, are mostly picture puzzles and rely on very little language. You can order them online by clicking their images on the right hand side of the blog.